Gas fireplaces are a favorite among many homeowners because they are lower maintenance and much easier to use than traditional wood burning fireplaces. While Fireplaces and Wood Stoves NOW isn’t going to say that either type of fireplace stove is better than the other, there are some definite advantages to a gas fireplace. There are different models of gas fireplaces such as direct vent, natural vent b vent, ventless, propane and natural gas fireplaces. Direct vent fireplaces doesn’t use a chimney like traditional fireplaces use. Direct vent gas fireplaces instead vent directly from the roof or out the side of a wall in your home. Natural vent b vent fireplaces draw air from the fireplace and vent through a pipe instead of a chimney. These gas fireplaces are more inexpensive and easier to install, but they don’t usually offer as much heat as other venting systems. Ventless vent free fireplaces are fireplaces that don’t get vented to outside your home at all. 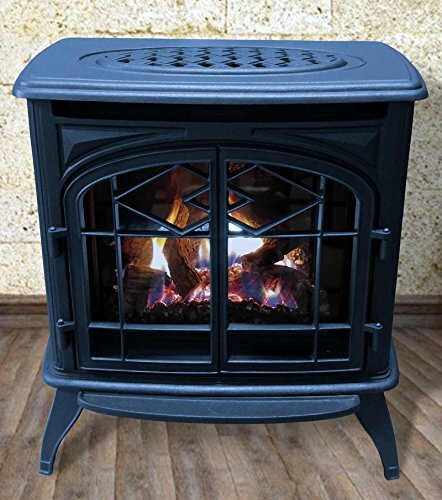 Canada, Australia and New Zealand have banned these due to safety and environmental hazards, and some people might tell you to never buy one of these but for the most part vent free gas fireplaces are just fine. Propane fireplaces and natural gas fireplaces are the possible fuel sources that a gas fireplace uses. There are all kinds of benefits to gas fireplaces which has made them appealing to homeowners. Some people fear that these gas fireplace units look unauthentic, but modern gas fireplaces can resemble traditional fireplaces if that’s what you’re looking for. And if you don’t like having to store firewood on your property, then gas fireplaces are for you because you can get gas from your utility company. Gas fireplaces also start up and heat quickly with the turn of a knob and press of a button, so there’s not any waiting for the fire to get started like with wood burning fireplaces and stoves. Gas fireplaces are usually cleaner than traditional wood burning fireplaces. There is no ash or mess with gas fireplaces. 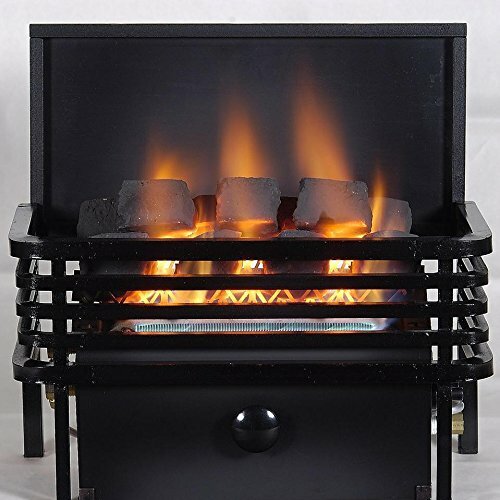 They can also be turned on and off instantly, so those with young children might want to invest in gas fireplaces. Natural gas fireplaces are any fireplaces that use the natural gas located deep in the earth. Natural gas fireplaces uses fuel that is highly combustible, odorless, colorless and made up mostly of methane. A natural gas fireplace is much more energy efficient than electric fireplaces and cleaner burning than wood burning fireplaces. Modern natural gas fireplaces closely resemble wood burning fireplaces. In fact, many people can’t tell the difference between a natural gas fireplace and a traditional model. You either have to get up really close, or have a finely trained eye to be able to tell the difference between the two. Some natural gas fireplaces use electricity to start the fireplace, but many modern natural gas fireplaces use a pilot light or optional match light so you can still use them if there is a power outage. A natural gas fireplace can be either vented or a ventless vent free fireplace. Why Buy A Natural Gas Fireplaces? Not sure what kind of fireplace to get? There are many reasons why lots of people are choosing to buy a natural gas fireplace. Families with little children really like these models because they can be instantly turned on or off, which makes them safer around unpredictable children whom you don’t know what they are capable of. Natural gas fireplaces are much more convenient as well and can be heated quickly without any chopping or hard work. Natural gas fireplaces offer users much more flexibility, and since they don’t require a chimney they can be placed just about anywhere in your home. These convenience features are the main reasons why some invest in natural gas fireplaces. 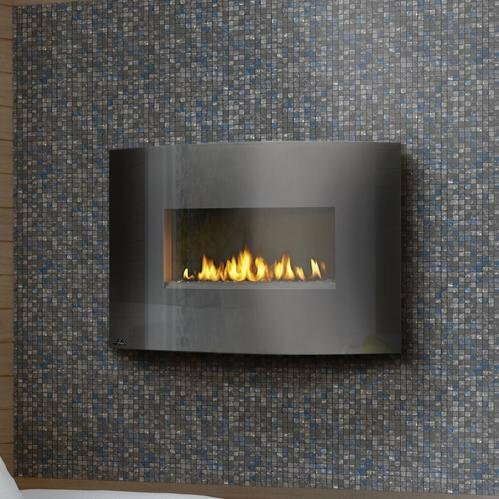 Propane fireplaces are an alternative option to their natural gas fireplaces counter parts. But just like all gas fireplaces, these propane fireplaces are a great reliable source of heat that will still work even when the power is out in your area. A propane fireplace can be inserts which get inserted into a traditional fireplace, a wall unit or a freestanding propane fireplace unit. The first thing you should think of before you buy any propane fireplaces is what kind of gas does your utility company have. Most of the time, this will be natural gas which will make natural gas a cheaper option for you. Sometimes there might not be any natural gas hookup and then you will have some thinking to do before you invest in propane fireplaces. In certain areas, propane fireplaces might cost you less to operate. Compared to electric fireplaces, a propane fireplace is cheaper and can make the air much warmer than electric as well as other fuel sources. Propane fireplaces can heat your rooms more evenly and a larger area than wood burning fireplaces, which have been known to heat only directly in front of them and not much else. Lastly, a propane fireplace is cleaner burning than using wood as your fuel source. The use of propane fireplace gas logs are a great option for those who like the look of a wood fireplace, but don’t want to deal with the mess and the hassle. Gas log propane fireplaces combine convenience with the beauty of a wood fireplace in one unit. 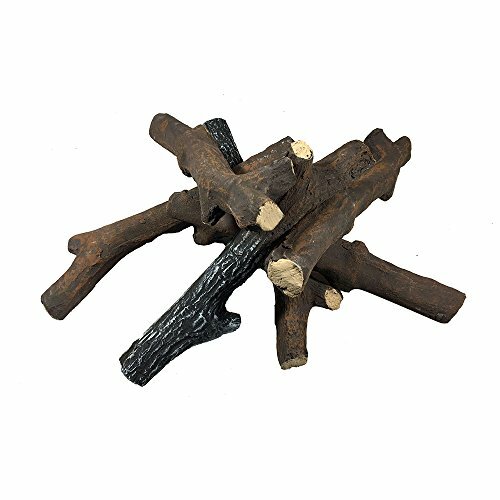 PERFECT ADDITION TO YOUR FIRE PLACE OR FIRE PIT: Life sized 10 inches Ceramic Wood Set 6 Piece Logs. 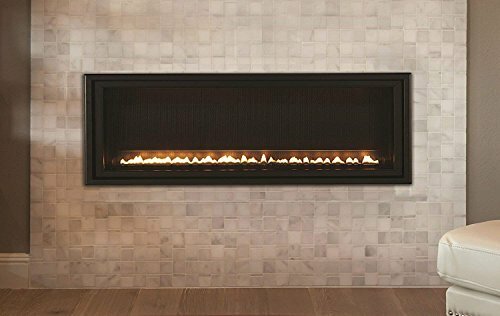 GREAT FOR: Vented gas fireplace, Outdoor gas fireplaces, indoor gas fireplaces, direct vent, zero clearance, natural gas, gel, standard fire pits, fake fireplaces, electric fireplace inserts, propane fireplaces, etc. SAFE TO USE: burn clean, no pollution,no ash, cool quickly. 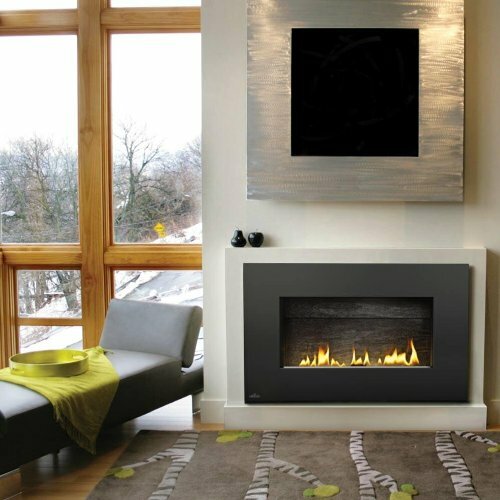 Ventless vent free fireplaces are somewhat controversial and seem to be a big topic of discussion in the fireplaces industry, but can be great inexpensive ways of heating your home. 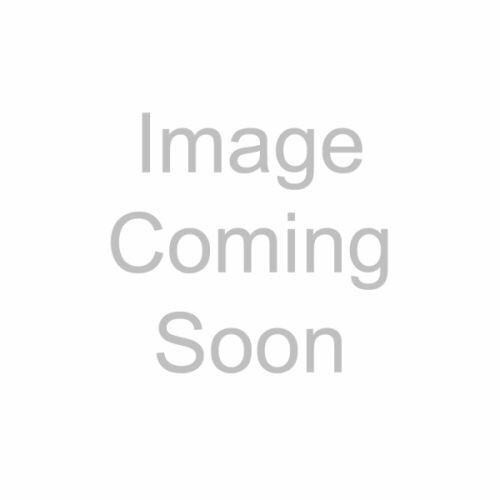 Before trying to purchase any ventless vent free fireplace you should look at your national, statewide and local laws because certain places don’t allow these ventless vent free fireplaces. 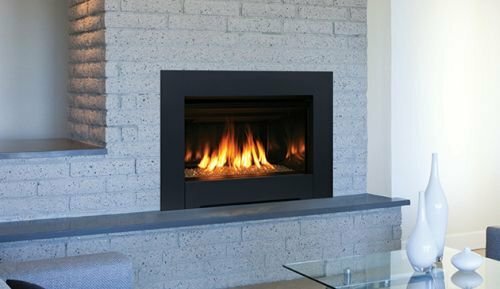 What Are Ventless Vent Free Fireplaces? 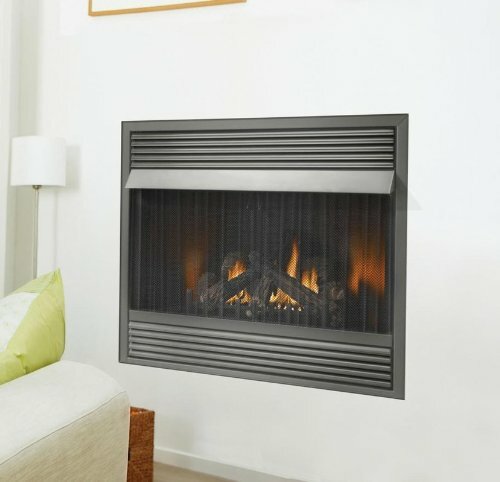 Ventless vent free fireplaces work without having to use a chimney or any other kind of vent. 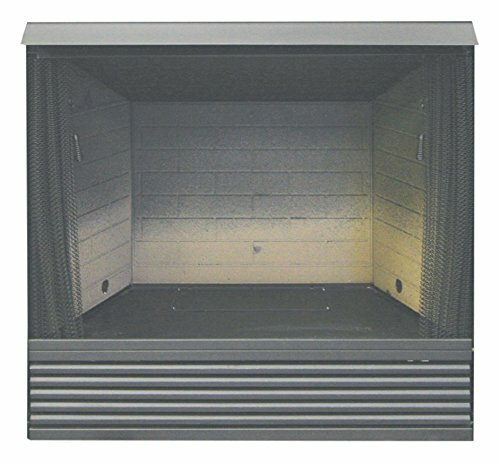 These vent free fireplaces are gas fireplaces that can use either natural gas or propane. Some ventless vent free fireplaces require electricity to start the fireplace, but others work off a pilot and don’t need this. Because you don’t need a chimney or any vent on these ventless fireplaces, you can install one pretty much anywhere in your home without having to do any expensive remodels. 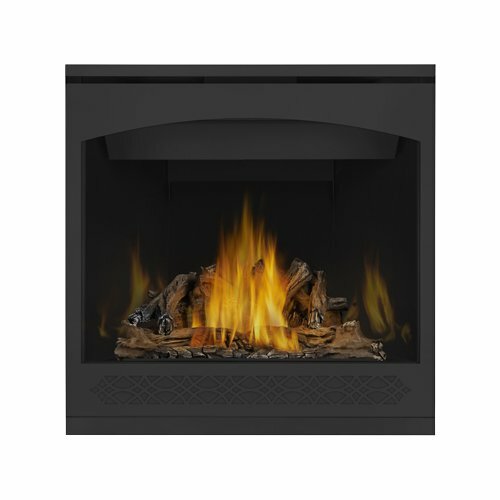 These ventless vent free fireplaces are the cheapest models and cost the least to operate since they are the most energy efficient, way more energy efficient than natural vent b vent fireplaces. 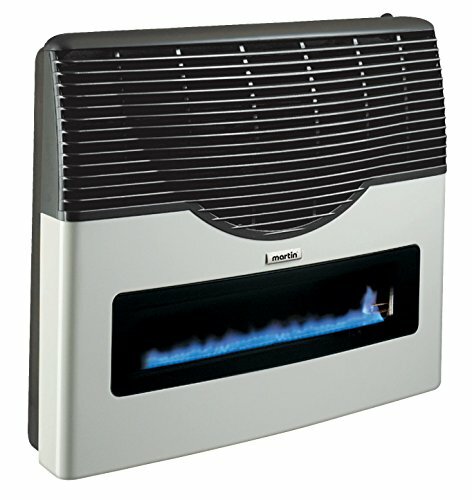 These ventless vent free fireplace models can badly affect your indoor air quality by putting carbon monoxide, carbon dioxide and other contaminants into the air in which you breathe. Although modern ventless vent free fireplaces have strict safety codes they have to follow in order for them to be on the market, there are some (although not common) inherit dangers when using one of these ventless vent free fireplaces. Natural vent b vent fireplaces are good alternative heating solutions for supplemental heat. A natural vent b vent fireplace usually isn’t the best heating solution if it’s the only thing heating your home since they don’t generate as much heat as other venting methods, such as direct vent fireplaces. Most of the time, natural vent b vent fireplaces are used more for decoration or supplemental heat, not as a heater. What Are Natural Vent B Vent Fireplaces? Natural vent b vent fireplaces use the air from the room they occupy to heat your home. Air from under the natural vent b vent fireplace gets sucked into the chamber, is then heated and radiated onto users while by products goes out the top of these fireplaces by way of a chimney or another vent. This way of venting usually makes some very decorative fireplaces, but they are usually much lower in efficiency compared to direct vent or vent free fireplaces. A natural vent b vent fireplace is usually for decoration because of the nice flame they produce. They can produce a very nice yellow flame that is generally pretty big in size. You can also buy these with out a glass window, which provides a nice realistic fireplace look. These models are pretty easy to install, and save a lot of space in your home. 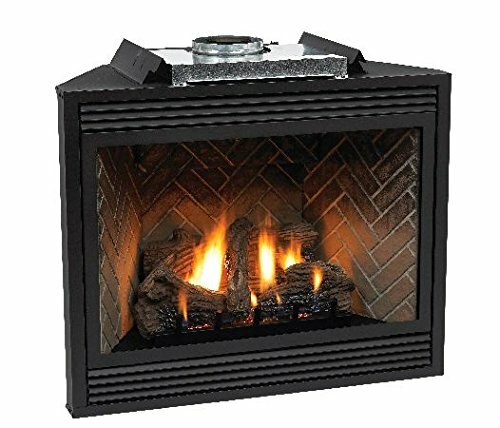 People who want a fireplace for decorative reasons, or those who live in warmer areas and want the look of a fire without as much of the heat should invest in these natural vent b vent fireplaces. Direct vent fireplaces are an effective way to heat your home. 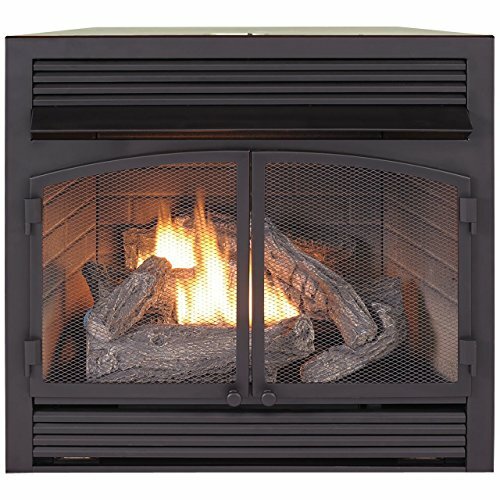 A direct vent fireplace is a popular way of venting fireplaces with easy installation for indoor or outdoor fireplaces. Traditional fireplaces use a chimney for venting. In direct vent fireplaces, there is no chimney and the fireplace vents right from the top of the roof or through another wall close by. Direct vent fireplaces don’t use any air from inside the room they are in for heating, they use air which is on the outside of your home. This air is turned into heat and then byproducts such as smoke are vented outside. Direct vent fireplaces venting uses a double walled pipe, which is essentially two pipes that work together simultaneously. One of these pipes carries air into your fireplaces, while the other pipe carries air to the outside. The air from outside your direct vent fireplace gets sucked into the chamber, is heated, and then the heat radiates to it’s users. A direct vent fireplace is a highly efficient way of heating your home and can provide you and your family ample heat during colder weather. They can heat up a room much more efficiently than a natural vent b vent fireplace, without taking any of the oxygen in the room. Direct vent fireplaces also keep your room free from any fumes or other byproducts such as ash which can make breathing more difficult. If you need a energy efficient and healthy way to heat your home that won’t cost much to operate, then a good option for you are direct vent fireplaces.